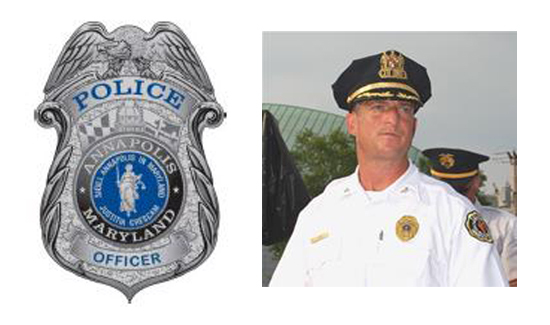 Annapolis (MD) Mayor Mike Pantelides has fired Police Chief Michael Pristoop (pictured above). Maj. Scott Baker will take Pristoop’s place as the acting chief while the city conducts a national search for a permanent replacement. The department declined to comment further on Pristoop’s firing, deferring all other questions to city officials. The chief’s firing will take place 45 days from Wednesday with the chief on paid leave in that time, according to his employment contract. Pristoop made $153,489.76 a year and was the city’s highest paid employee. Pantelides said his decision to remove the chief came after he viewed a lack of progress on tackling drugs and homicide in Annapolis. The decision to replace Pristoop comes after the deadliest year on record in Annapolis, with 12 homicides in the last 12 months and 10 in 2016. Some members of the council were disappointed with the mayor’s decisions. A letter was sent to the council Wednesday morning which announced the firing but did not list any explicit reasons. There has been no public rift between Pantelides and Pristoop, who have stood together against the increasing homicide rate in the city. When the homicide rate reached 10 last year, both spoke at a candlelight vigil honoring the victims.